Washington – Years after defecting from Russia and resettling in the US, former KGB officer Alexander Zaporozhsky was lured back to the country he had once betrayed. The CIA warned him not to go. Several senior intelligence officials tried unsuccessfully to dissuade Zaporozhsky, who had given the US valuable information that ultimately led to the capture of FBI agent and Russian spy Robert Hanssen, former officials familiar with the case told CNN. But the Russian intelligence officer turned US asset insisted on returning to Moscow in 2001. He was arrested and imprisoned in Siberia for his connections to the West. Zaporozhsky was ultimately released in 2010 and sent back to the US as part of a spy swap with Russia that also included Sergei Skripal, a former KGB colonel convicted of spying for Britain after admitting to the crime. The US released 10 individuals accused of operating a Russian spy ring in the US as part of the exchange. The former KGB officer has largely flown under the radar since his release and his whereabouts remain a secret, but Skripal’s name publicly resurfaced in March when he was poisoned with a nerve agent in the English city of Salisbury — an incident that the UK and US allege was the work of the Russian government. Russia denies any involvement. Human intelligence collection and the CIA’s recruitment of foreign spies was crucial to US efforts in the Cold War and continues to play a major role in the evolving world of global espionage. On one hand, intelligence agencies like the CIA are constantly working to identify and apprehend foreign agents operating within the US on behalf of aggressive adversaries like Russia, China and Iran — a concern highlighted by the ongoing criminal prosecution of 29-year-old Maria Butina, an alleged Russian operative. But the flipside is a shadow world where defectors like Zaporozhsky and Skripal are the ultimate trophy — and take the ultimate risk. 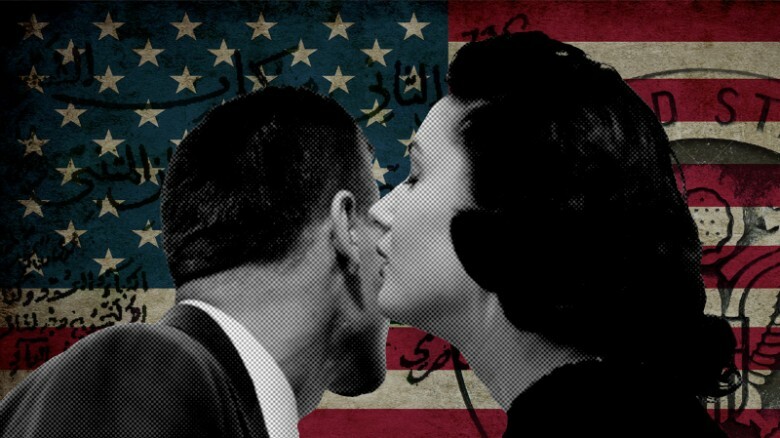 In the US, a CIA program focuses on secretly rescuing and resettling spies like them who are in danger of being caught or killed for betraying their country in service to Washington. The risks don’t stop once they’ve reached US shores, former intelligence officials told CNN, as their former countries often continue to hunt them down. Those challenges have only gotten tougher as cyber capabilities advance and the evolution of social media make the task of protecting defectors even more difficult. “For decades, high-level defectors have been the crown jewels of human intelligence collection,” according to Joe Augustyn, a retired CIA officer who ran the defectors program for three years. Several American turncoats have been caught spying on their own countries while working at the CIA, the National Security Agency, the US State Department and the Pentagon. Here’s a quick look at who got caught and how they were punished. Former CIA director Gen. Michael Hayden told CNN that defectors don’t just help with current or past intelligence. “We have found that defectors are a long-term and deep source of information and that they enlighten things we may have already collected but not understood, as well as those things we might collect in the future,” Hayden said. While the CIA intentionally maintains a level of operational secrecy to protect defectors, events like Skripal’s poisoning are a reminder that the stakes are as high as ever for those who participate in clandestine operations and the handlers responsible for their well-being. While the CIA doesn’t take advantage of the full quota that is allowed each year, the reality is that there are hundreds of former spies living in the US with new identities — resettled into communities across the country. The dozens of CIA officials who work for the defector program are responsible for keeping track of those individuals and advising them as best they can for the rest of their lives — all the while knowing that foreign adversaries continue to aggressively search for them. Indications that Russia was behind Skripal’s poisoning provides further evidence that Moscow remains particularly vigilant in their quest to find those who betray the motherland — at times demonstrating a unique willingness to patiently wait for the opportunity to retaliate. “As we have seen recently in the UK, the risk to these defectors does not end when they reach the west. It is critical that US intelligence does all that it can to make sure they live safe and productive lives not only as a ‘thank you’ for what they have done — but also as a message to future defectors that the United States lives up to its commitments,” Augustyn said. Not every spy qualifies for exfiltration, but the US will work to rescue high-ranking military officials, intelligence officers, academics, scientists and other workers with access to sensitive information who are at imminent risk of being caught or captured. If the defector is successfully brought out of their home country, often in the dead of night, he or she and their family will be given new names, English lessons, some money, a house, and words of advice: don’t use social media, don’t contact anyone back home. In one case, the CIA helped a man who wanted to go to college by providing fake records he needed to apply, while in another, officers facilitated a secret divorce for an asset whose wife still lived in the country he defected from. Psychiatrists work in the special unit as well, to help families adjust to their new surroundings. Those guidelines aren’t always followed. Some of the children of former spies have been unable to resist social media, and there have been defectors who have returned to their home countries after failing to adjust to life in the US. One former spy sued the agency for failing to provide his family with sufficient funds, and the case escalated all the way to the Supreme Court — which found in the CIA’s favor, thanks to a long-forgotten Civil War-era law concerning secret agreements called the Totten Doctrine that protected Abraham Lincoln from being sued by a spy he paid to follow Confederate soldiers. Defectors present a myriad of psychological and logistical challenges for CIA handlers as they navigate the complex reality of life-long resettlement. Some defectors maintain an “unnaturally strong belief of their own invulnerability” that can manifest itself years into the program — a trait that often makes them targets of coercion and can have potentially fatal consequences, according to Augustyn. Other individuals cannot reconcile themselves to the fact that they are no longer the person they used to be, he added. “Anyone who betrays their country, for whatever reason, is different,” Augustyn told CNN, adding that these individuals often have strong egos and are motivated by personal reasons like greed or a desire for revenge rather than political ideology or a desire to make the world a better place. 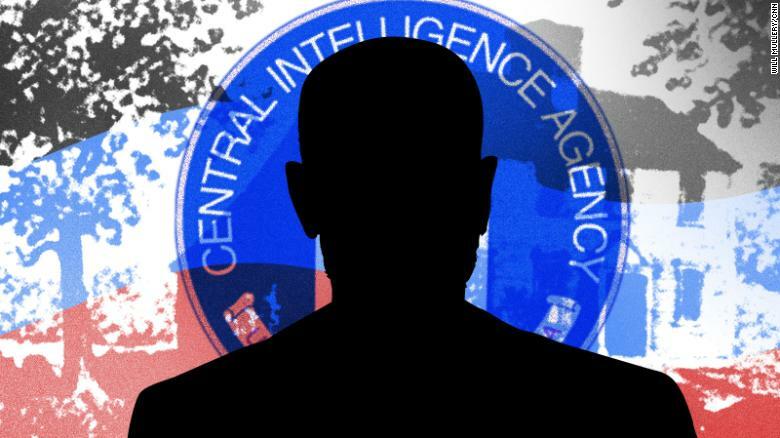 And while the CIA provides defectors with new identities and professions, the jobs given are often a dramatic step-down from the high-level military, political or intelligence professions that made them attractive recruitment targets in the first place. One high-level defector even became a pizza deliveryman upon resettling in the US, according to Augustyn. That change in lifestyle can be jarring for defectors and their families who are forced to abandon parts of their life that long served as the foundation of their identity. “Each case is unique,” Peter Earnest, a 35-year CIA veteran who helped resettle multiple former Soviet officials in the US, told CNN. But “people who have served us in difficult circumstances, we owe them an obligation,” he added. Russia is not the only foreign adversary interested in tracking down defectors living in the US. The CIA has resettled individuals from countries like China, Iran and North Korea and those countries also want to track down those they believe have betrayed their interests. While CIA officials would not say whether the US has noticed a recent increase in the targeting of defectors, intelligence officers constantly evaluate safety concerns of those spies secretly living in the US. The CIA’s defector program remains sensitive, and few people, including lawmakers and former intelligence officials, will discuss it, but those who will say the defectors program it helps the US extract valuable assets from dangerous situations, promoting loyalty and creating an incentive for anyone considering choosing to spy for the US in the future. “Beyond the moral compulsion to do right by defectors, the nation that does not protect those who defect will find that fewer people will be making that choice,” Hayden told CNN. But while the CIA has successfully resettled hundreds of former spies over a span of several decades, many cases have ended in tragedy. Since the program was founded after World War II, several defectors from Eastern Bloc countries alone have been assassinated or disappeared under suspicious circumstances. The CIA is still searching for answers related to the case of Ryszard Kuklinksi, a Polish army colonel who gave the US thousands of documents revealing sensitive information about the Soviet nuclear weapons program — he was exfiltrated from Poland by the CIA just before the Polish government instituted martial law in 1981. Kuklinski lived peacefully in Florida for many years after leaving Poland and was celebrated as a hero within the US intelligence community for dramatically improving their understanding of Soviet weaponry in the 70s and 80s. However, his two sons mysteriously died within six months of each other in 1994 — one lost at sea off the coast of Florida and the second hit by a car, which burned up and left behind no evidence of the perpetrator. The mystery remains unsolved, though many have pointed the finger at angry KGB agents seeking retribution.